Christina L. Saveriano is counsel in the Princeton, N.J. office of Hill Wallack LLP and a member of the Firm’s Complex Litigation, Employment and Labor Law, Regulatory & Government Affairs and Life Sciences practice groups. Ms. Saveriano concentrates her practice in commercial litigation, complex civil litigation and regulatory law with a focus on corporate compliance issues. She practices in both state and federal court. Ms. Saveriano is admitted to practice in New Jersey (2003), Pennsylvania (2003), U.S. District Court, District of NJ (2003), and U.S. Court of Appeals, Third Circuit (2012). She received her law degree from the Pennsylvania State University, Dickinson School of Law. Following law school, Ms. Saveriano served a judicial clerkship in the Appellate Division of the New Jersey Superior Court with the Honorable Frank M. Lario, J.A.D. She is a graduate of Rowan University. Ms. Saveriano has experience with partnership and corporate conflicts such as medical practice dissolutions and minority/oppressed shareholder cases. She also litigates complex contract and construction litigation disputes. Ms. Saveriano also regularly acts as New Jersey counsel in intellectual property matters on behalf of generic drug pharmaceutical clients. 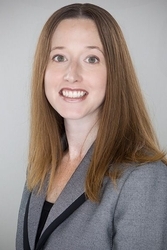 Her employment practice concentrates on the defense and representation of employers, management, businesses, and individuals, for a wide variety of claims stemming from wrongful discharge, discrimination, harassment, breach of contract, and violations of both state and federal civil rights and laws.